What does this mean? Customers can now incorporate all /select Designer modules into their website taking advantage of the different elements to enhance their current user experience. 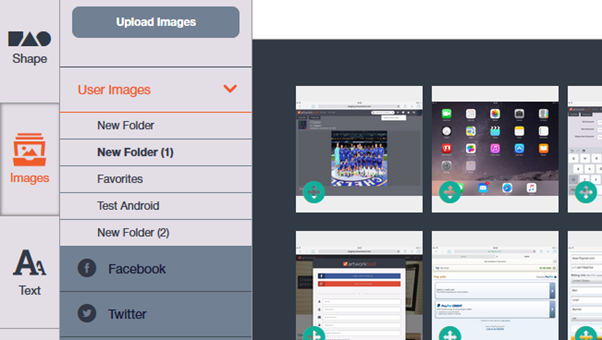 In the next month or so – we will have some example pages in place demonstrating the above. More to follow!! Additional Language updates are included in this release. These include Spanish / Chinese & Russian. Importantly the Language toggle or selection area now resides in the bottom left of the Designer window as shown in the below 2 screen shots, collapsed and expanded. Minor amend to the usability – the Place button has had a tidy, it previously displayed as all orange therefore you could not see the button label. 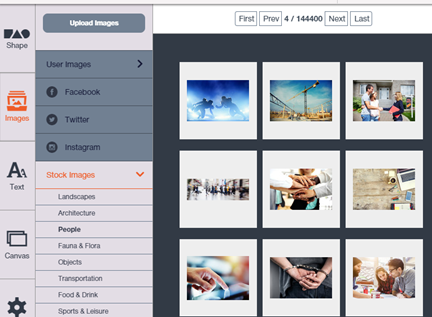 The new version has been enhancement to now also include ‘Photos of You’ therefore increasing the Facebook Image Libraries available to each user when connected. 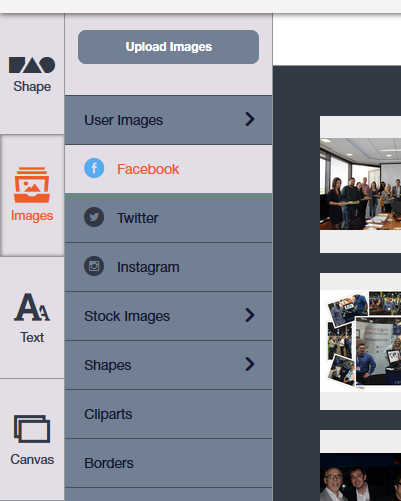 Added and fixed within the new version – top right of the Designer (Social Sharing). Here the full Fotolia Library of images is now available – a user can scroll through the numerous pages available.